As the universe is said to have started with a Big Bang explosion, and is forecast to end by imploding, I found the same kind of evidence for the greenYgrey world I created online over a decade ago, and that spawned a trilogy of educative fantasy fiction travel quest parody comedy books with an animal welfare, environmental and equality message in old photos of local woods at twilight time and my bedroom wall. As life on Earth is said to have evolved from basic chemical building blocks, most of the common themes of the greenYgrey world over the past decade can be seen on my bedroom walls from that time in the mid-noughties. This wall, which could be seen now as the end or sunset, has a Leeds United scarf (more proof of who I support, and proof against those who say I’m only pretending to be a Leeds fan for profit, privilege or cowardice!) and a running medal above a woman on a beach and Debbie Harry herself. Another woman is above an astronaut from an IMAX space film I watched. Then there’s a gYgPOP twilight scene from the Apocalypse Now movie above an Independent newspaper map of the 21st century world. I saw these photos for the first time in years, maybe the full ten (? ), while scanning the other photos, and was surprised to see how they mirrored the greenYgrey world so much, and seemed to have set the scene for it; in a Derren Brown kind of way! In my conscious mind, I had no plans to end the greengYrey trilogy with a POP twilight times scene until studying several sunrises; and noticing they are pink, orange and purple rather than actually red; and that could be used within the XaW Files travel quest theme of searching for our Andy Warhol, Andy Wolfhol, famous for pop art. 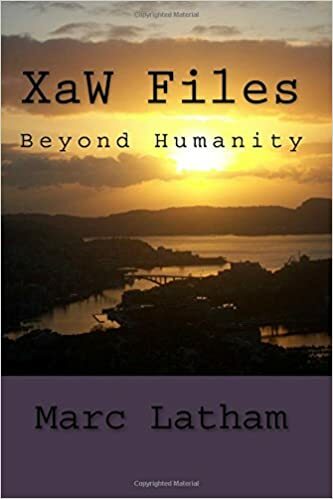 Likewise, I had no plans to end the trilogy in Iceland when I took the XaW Files cover star photo of the sunset looking out to the west from Norway: towards Iceland!